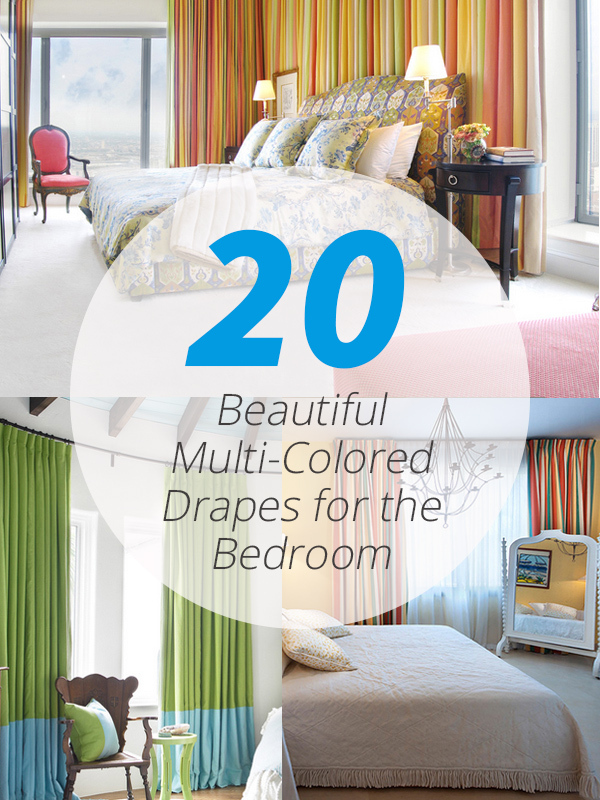 If you are into drapes or curtains with dual or multi-colors, then this list is for you! 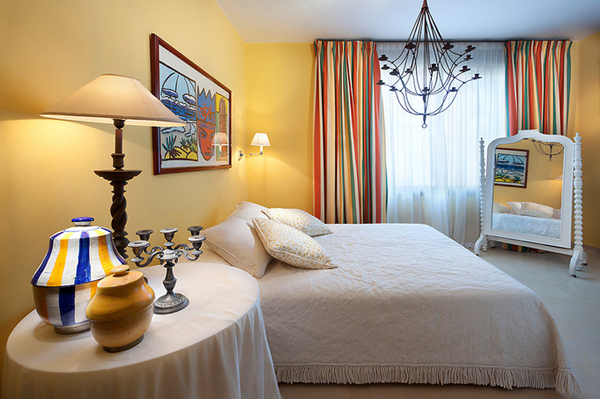 We have prepared a list of wonderful bedrooms with awesome colorful drapes in them! They range from two-toned drapes to three or more colors! 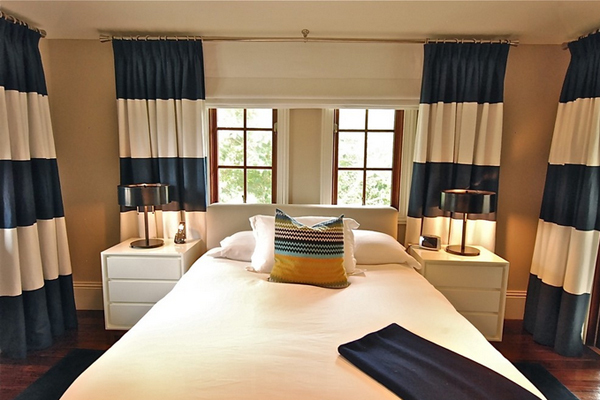 You will notice that these drapes are stripes – either vertical or horizontal stripes. The 20 Beautiful Multi-Colored Drapes for the Bedroom is another of the many lists we have about drapes for the bedrooms! They are pretty in their own right – each one of the drapes in here. Of course since most of this spaces are staged, the drapes were made to really complement and make sure that each bedroom is prettier than the next. Take a look and tell us what you think! This bedroom is a charmer – with the wonderful and comfortable looking bed, this is something every homeowner would love to maintain as a bedroom for their house; note the striped drapes too! This sure is one glamorous bedroom – the colors are royal and really pretty. The simple color combination of the drapes complement with the dark fireplace and contrast with the light colored chaise and beddings. 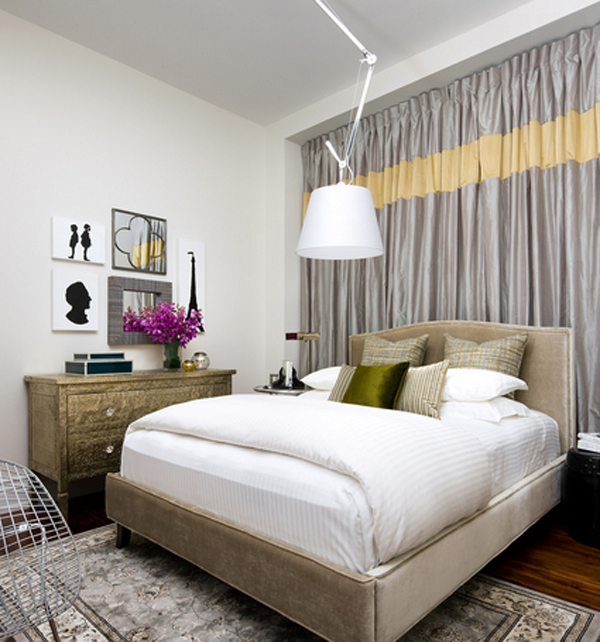 Two-toned colored drapes make this master bedroom comfortable and homey! I like the colors of the drapes because it looks like cotton candy and seems pretty delicious too! Which reminds me, I haven’t eaten just yet! This is one master bedroom which is super cool to the eye. I love the neutral colored walls, fabric and carpet. 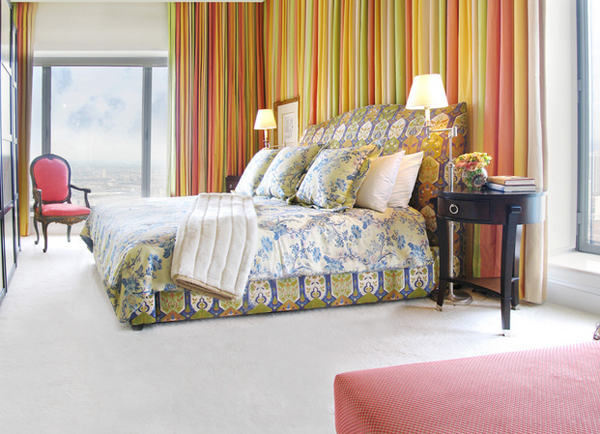 Here is another candy-colored drapes that looks fun with the full-print bed sheets! 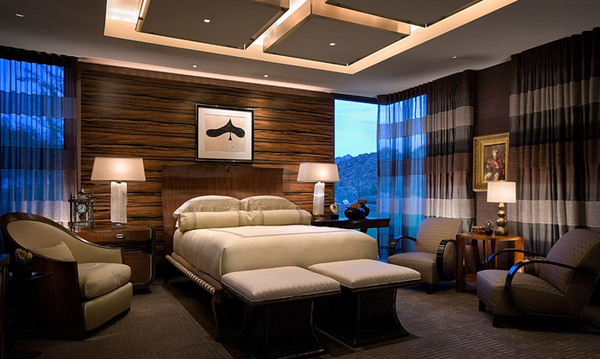 This is one masculine bedroom fit for a bachelor! 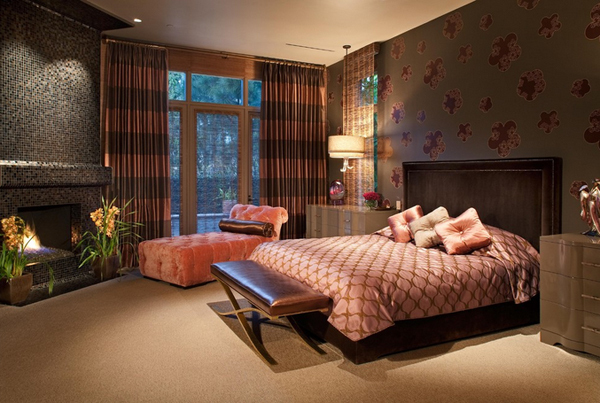 The color palette used in this bedroom is something every guy would love. 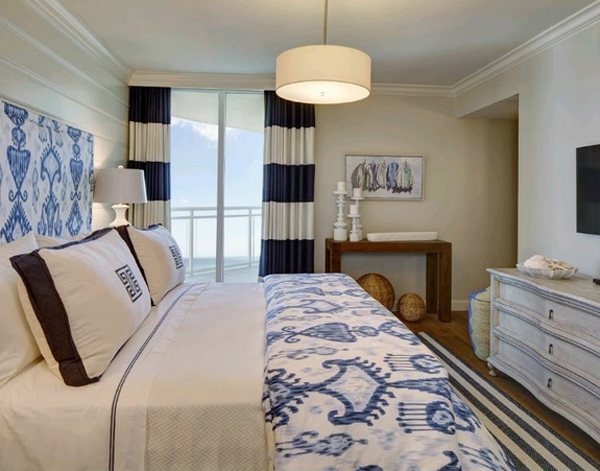 The colors of the drapes along with the furniture in this bedroom feels like a beach or nautical theme space – totally dig this space! 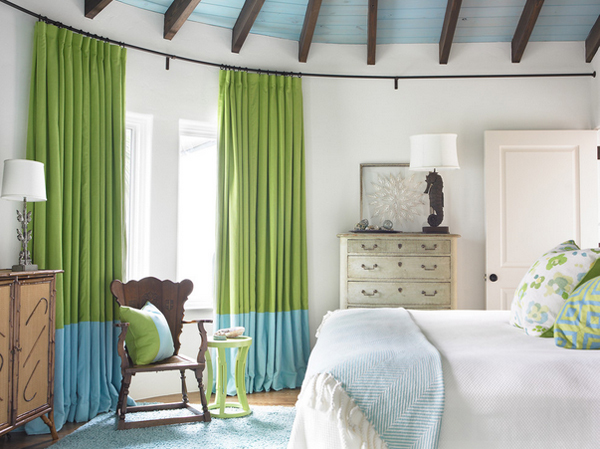 Traditional bedroom with colors that makes you think about the country with the less-stressful life we all dream of. 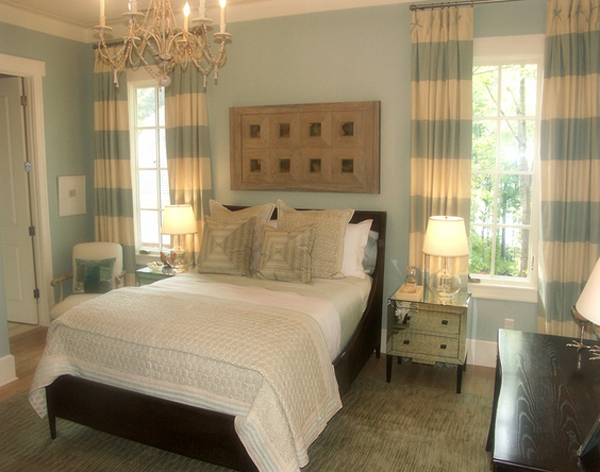 The contrasts of the light and dark blues in this bedroom seems refreshing to the eyes! This is one color combination which says comfortable, homey, modern but simple all at the same time. I love this! Browns, yellows and neutral really go well together. They are all mix and matchy with each other. 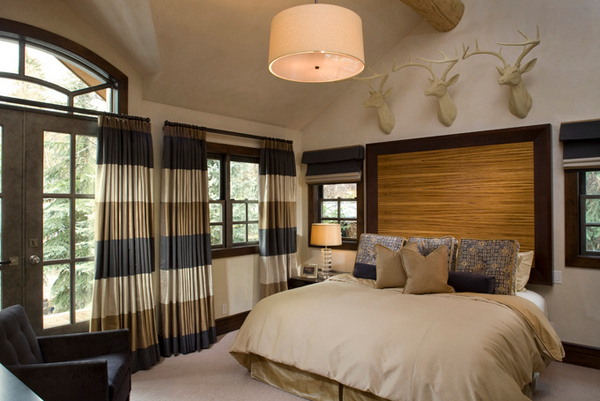 I love the deer head displayed above the head board! 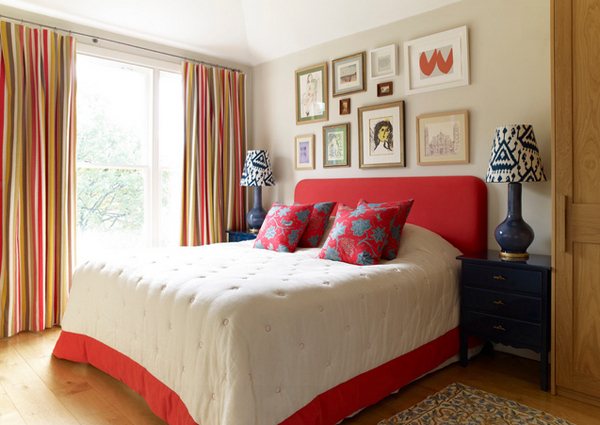 They contrast well with the fabrics used in this entire bedroom. If this is how a Sea Island would look like, please let me have it! Silver grey drapes makes this contemporary bedroom rather ravishing and stylish. 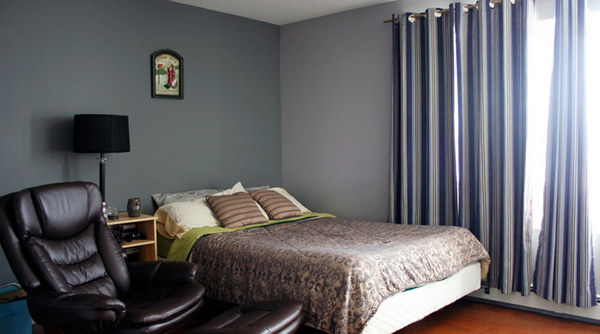 One minimalist masculine-ish bedroom; this space is made brighter with a blue and grey combination of drapes. I like the jars displayed on the night table plus the wall color that help highlight the fun drapes behind the white mirror! 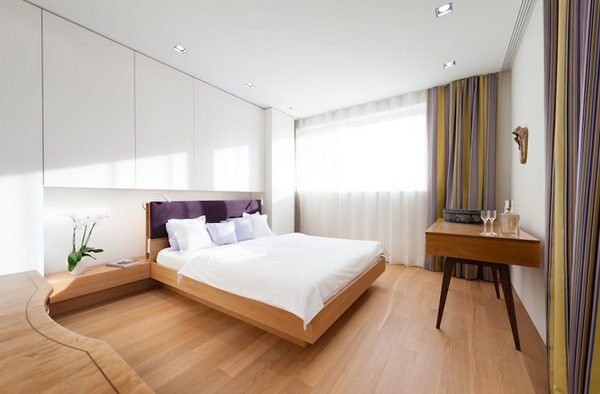 I love all the wood in this bedroom and the white wall against the bed. The drapes is like the breath of fresh air in this space. 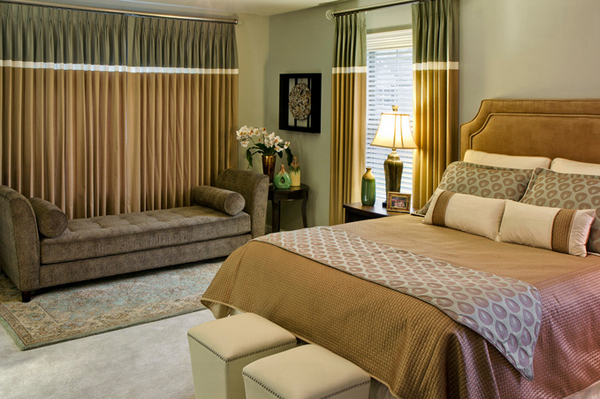 Meritage Homes sure did a great job with this bedroom design and layout. 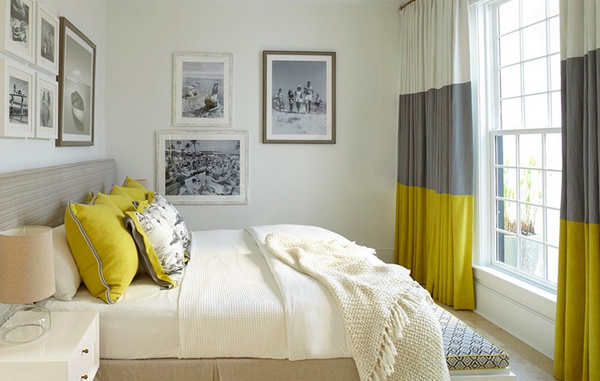 The color combination of blue and somewhat mustard yellow creates an effect like no other. The bedroom photos that you have seen above showcase drapes that are either dual-colored or multi-colored. What I love most about some of the drapes above are the candy colored ones! They bring in fun and light to the spaces that they are in. If you liked this list, you might as well love drapes in black and white too!